Just when you thought the poor Wii U was well and truly finished, enjoying its early retirement sipping margaritas on the balcony of a Spanish villa somewhere, indie developer Ultra Dolphin Revolution has called the console back into action. 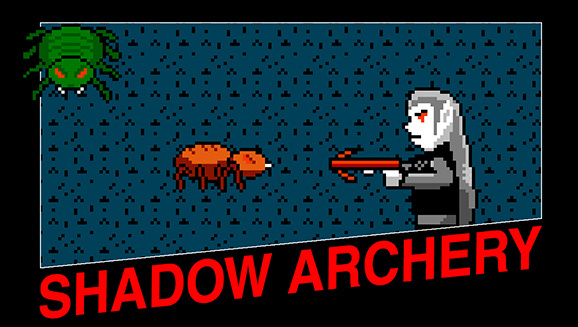 Shadow Archery is an endless arcade-style light gun shooter inspired by 8-bit games of the day, and it will be heading to the Wii U eShop on 12th April in North America (European release details are expected soon). 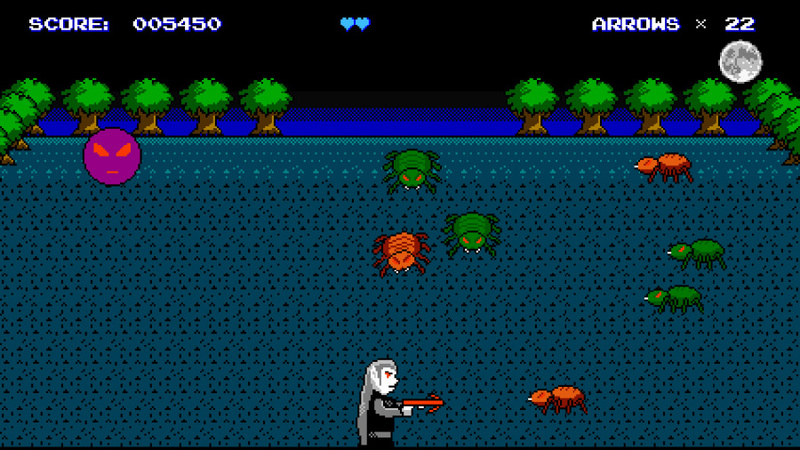 You can play the game with either the Wii U's GamePad or a Wii Remote if you prefer, as you aim to take out the pesky Arachners and help Archer survive in the Darker Realm. You'll be fighting against hordes of creatures using your trusty crossbow, finding power-ups to aid you in your survival against the ever spawning creatures. Your arrows are limited, however, so you'll need to make every shot count. Amazingly, the game is set to launch for the very low sum of 'free'. Yes, for the first week of the game's release, you'll be able to download Shadow Archery for free, with the price set to rise to $0.99 / €0.99 thereafter. If you want to give your Wii U some love once more, this would be an incredibly cost-effective way to do it. What have you got to lose? Somehow, this is a fitting last game for the Wii U. Quick, someone make an excellent Wii U game so it ends on a high note! And not... This. This won't be the last Wii U game. I thoroughly enjoy Ultra Dolphin Revolution's other games on the Wii U.
I love the early NES look and feel of their games. I will get this for sure!!! Eh, there are still games coming to the Wii u e-shop! Yeah they are few and far between and the probably are very bad. But it isn't entirely over. Of course the staff from this site don't know that, since they are biased against Wii u (promoting Switch all the time). My WiiU is far from retired. I'm playing Darksiders 2, one of my kids plays WiiParty U every day and my other daughter plays Minecraft on it. It's my Switch that sits back in its box now. @KingdomHeartsFan I've been going hard on LoZ:TP HD and for some reason the masochist in me keeps bringing me back to HotWheels Worlds Best Driver - it's so bad it's good. @bherdm The WiiU will never die in the eyes of the fans. Come on Nintendolife, keep those fires burning. Don't abandon the WiiU as quickly as Nintendo did. @Henmii We're definitely not biased against Wii U. Personally, it is easily one of my favourite consoles. Naturally the world's attention has moved on to Switch, but whenever anything pops up on Wii U we're glad to cover it - hence this post! Ahh, the light-blue theme of Nintendo Life - it's been a while. I'll never turn down something for free, but this will likely be my last new game for this system. I'm still playing my Wii U and it's ever-present backlog of quality games. Xenoblade X is making my eye twitch at the moment. @RyanCraddock But you guys haven’t bothered reviewing any of the Wii U eshop releases for the last year! How are we supposed to know if they’re complete rubbish or just average rubbish! In all seriousness, I do kinda wish someone would review GBA Rayman 3, or Harvest Moon 64, for example. I know there’s been a staggering flood of Switch downloads to focus on, and those retro games have other reviews out on the web, but few of them contemporary ones by such a decent site. The final egg on the face for Wee U. Just picked up Minecraft on Wi U in the library on Monday b/c I wanted to mess around in the Ntineod level - we already own it on PC, PS3 and who knows what else. And we just got the Fantastic Beasts Lego Dimensions game built as all of those are on clearance now, so we'll play that. So yeah, I'll pick it up for free, play it for 5 - 15 minutes, and that will be that. But our Wii U is still going. So is our PS3. PS+ means that's on every month. Considering how bad Nitnedo has been bringing ANYTHING Switch related to MyNintnedo probably once the online paid subscription goes live the only free games we'll get will be on Wii U. Nintendo Logic. I bet it doesn't come to Japan. Or it will, but for like a million billion Yen because that's how Wii U worked here. I'll pick it up, just because. I actually started back on the Wii U after having the SNES Classic plugged in for a while. The kids still play Mario Kart 8 on it, and I have found myself sucked back into Master Quest mode on BotW. Heck, I might even start looking for cheap Wii U games again, as it still is an enjoyable console. After getting whisked away by Steam & PS4, my poor little Wii U has sat there painfully watching me enjoy other consoles' titles for a while. It has however been used recently and it has hooked me back in with the great library it has. The N64 will never die in the eyes of it's fans. Come on Nintendolife, keep those fires burning. Don't abandon the N64 as quickly as Nintendo did! Wii U Forever, it will be regarded as one of the best console ever made that everyone hate. The final word on the Wii U in my opinion will always be Breath of the Wild. Been on my Wii U's Wii Mode lately, catching up on my last-ditch WiiWare buys, so I'll be sure to reenable access to Ninty's servers to nab this beaut. M y wii u is still hooked cos of al the awesome VC titles I have, especially turografx. Gotta get this, because why not. @Not_Soos You have, if you have played their other game called "Shadow Archer". This appears to me to be that game but from a different perspective. I really like Shadow Archer, so I am going to pick this one up too. For free, I’ll give it a shot. However... This game is only interesting in that it is releasing so late in the Wii U's life, and is free for a week. Looks like crap. I'll pass, even for free. It's always so funny hearing people be surprised that the Wii U isn't dead. There's new levels being made in Super Mario Maker, all day, every day, and there always will be, until they discontinue the servers. And Smash Bros. is as great as it's always been and it's still easy to find opponents. Since the Switch came out, there's been a steady stream of Wii U indie games coming out, they're cheap games, but, people still make them. I don't really understand how you can call a system dead, when there's so much new stuff to play every day. It should launch for free as its the same game that is already out on wiiu but now only a light gun game instead. 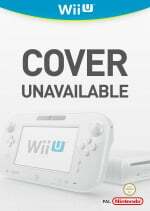 RCMDIAX will release the very last game for Wii U and we all know it. Okay, but to me this site feels biased (for example, you guys often don't mention the Wii u discounts in your weekly e-shop update). That's just the whole vibe I am getting, I can't help it. people here will still say it costs too much because this is nintendo life. Also, I appreciate the developer’s name. 1: This game was already out for quite some time. I remember a review on this site. 2: The European e-shop says 3 Euro, so its not free in Europe (yet)! @Henmii No, the game you are referring to is called Shadow Archer. That game is more like an old arcade game w/top down controls. This game is a light gun game where your character is in a fixed position. Thanks for the answer! A confusing name though, since both titles are almost the same. And the protagonist looks samey too. Is this from the same developer? Anyway, we Europeans need to wait a bit it seems. @Henmii Yes same developer and same character. Not sure why they didn't give this new a name that makes it more obvious it's a different kind of game. It's confusing for no good reason.